A long-time whole grain baker, Kathryn discovered the thrill and ease of cooking with whole, fresh foods decades ago. Still chopping! Pommes de terre is French for potatoes and literally means apples of the earth. But doesn't it make a simple dish sound festive? A bit exotic? Not to disappoint, I can tell you it is! This colorful dish, made with tender Yukon Gold or red potatoes, yams and seasonal kale contains a secret ingredient that will set your taste buds singing. With the cornucopia of fresh produce available year round, you can dress this dish up as a vegetarian entrée on your Thanksgiving/holiday table, or dress it down for an everyday supper any time. For Thanksgiving and Christmas, we serve it two ways: As the centerpiece of our vegetarian holiday dinner, or a take-a-long side dish for our contribution to a family gathering. Either way, it's as healthy as it is tasty and appealing to the eye. At home, this hearty one-pan supper, ready in minutes, satisfies when we're too tired to do anything but toss a few ingredients in a pan and sit down together with a plate of simple fare and a glass of wine. If you're lucky enough to have leftovers, reheat for a quick work-day lunch. It's all good. Which kale do you prefer? Throughout the long winter, we make our pommes de terre with whatever variety is fresh and in season, but our favorite is red kale, also known as Red Russian kale. What's yours? For a photo and brief--as in teeny, tiny--description of each of the choices in the poll below, see Guide to Different Varieties on EcoLocalizer. Which kale is your favorite? If you're like me, cleaning all those nubby, frilly leaves and stalks takes time I'd rather spend doing almost anything else. No longer! Now I soak my kale in a salt and vinegar bath, then spin it nearly dry in a salad spinner. Here's how it works. 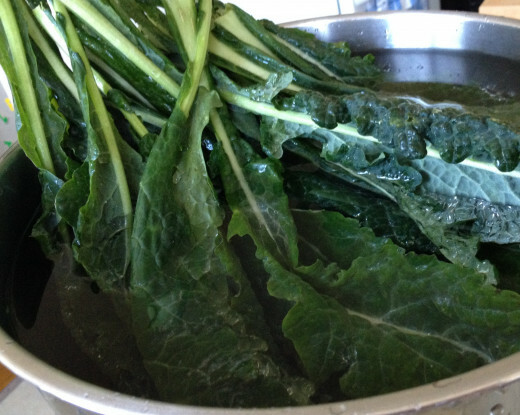 To clean the kale, set it to soak in a big bowl of water with about 1/4 cup white vinegar and a tablespoon of sea salt. Let it soak about ten minutes, while you clean and chop the potatoes, onions and garlic and heat the oil in the skillet. The vinegar is mildly disinfectant. The salt, also mildly disinfecting, brings any bugs to the surface so you can skim them off. It's just plain easier than trying to wash each bump and curl by hand. While the potatoes are cooking, rinse and drain the kale twice, then pat it dry with a clean dish towel or spin-dry in your salad spinner. Chop to taste. We like smaller bites of kale, but be aware that it shrinks quite a lot in cooking. By the time the kale is chopped, the potatoes should be crunchy tender and ready for the kale. A salad spinner makes quick work of removing the moisture from your washed leafy greens, especially crinkly or curly kale. I own a Zyliss now, have owned it for years, but if it ever breaks, I will purchase the Oxo Steel Salad Spinner. That's because we are doing all we can to avoid bringing more plastic into the house. Two big pluses, in addition to the stainless steel: Oxo put non-skid grips on the bottom, so it won't fly off the workbench or counter top, and we can spin our greens with one hand! You may already know that kale is loaded with good stuff like Iron, calcium, Vitamins C and K, and those all-important antioxidants and anti-inflammatory Omega-3s. Do you also know that acids such as the Vitamin C found naturally in limes and lemons help our bodies absorb iron? Not only does the lime in this recipe add piquant flavor to this dish, but it helps us reap the benefits of this important nutrient. So while kale adds color and texture to comfort foods like potatoes and pasta, it's the nutritional benefits that make those oft-maligned dishes healthier and their carbohydrates a little less fearsome. This is one of those meals that is a foodie's delight. 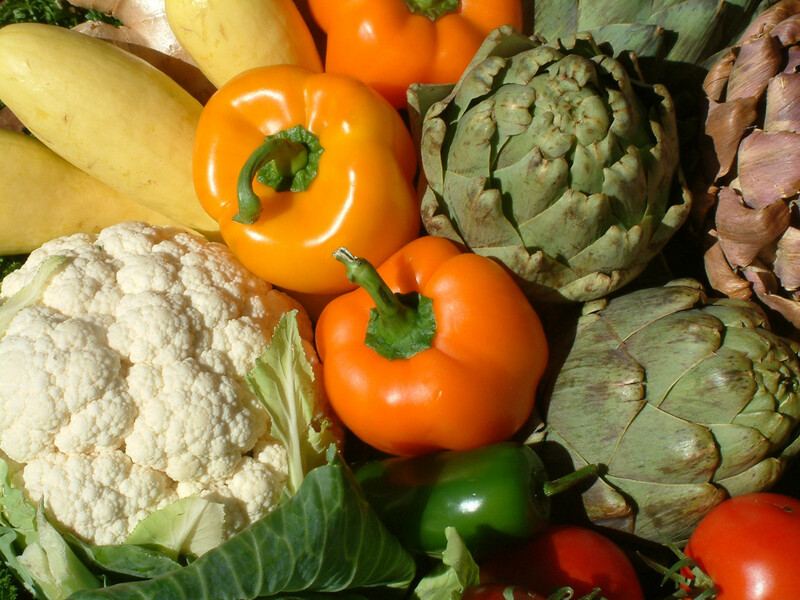 The scents and colors of the vegetables delight the senses, making preparation almost a Zen experience. Both red potatoes and Yukon golds cook quickly. We like the red for their slightly earthy flavor. Equally delicious, the Yukon golds, which are almost buttery all on their own. Either is an excellent companion to the sweeter yams. The kale adds rich, dark color, texture and a mild flavor to the starchier potatoes. Tipple it all with a hint of citrus from the lime, and the ever fragrant garam masala (the secret ingredient), which often elicits the response, "It tastes like Christmas," and you have a delightfully festive and slightly unusual twist to ordinary comfort food. Garnish with crisp Fuji apples and this Creamy Cheese Dip and Spread (a good source of protein and calcium) you can make with a stick blender in five minutes. Slightly tart, sweet and crunchy, the red-skinned apples pair perfectly with the flavors and textures. This is the brand Garam Masala I use. The flavors are distinctive but also subtle, not overwhelming, and absolutely delightful. The quantity is quite small, so you don't have to worry about it going bad before you've used it all. In large skillet over medium heat, heat oil to sizzle stage, careful not to allow it to smoke. 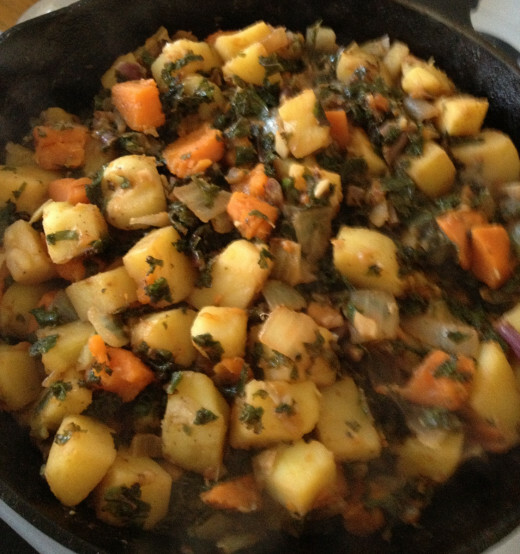 Stir in potatoes, yam and salt. Cook covered about ten minutes, turning two or three times to prevent sticking, until crunchy tender. Remove lid, add butter, mix until melted and continue cooking uncovered till potatoes are tender through, but not mushy, and nicely caramelized on edges, about five minutes. Add chopped kale. It seems like a lot, and will fill the pan, but soon cooks down. 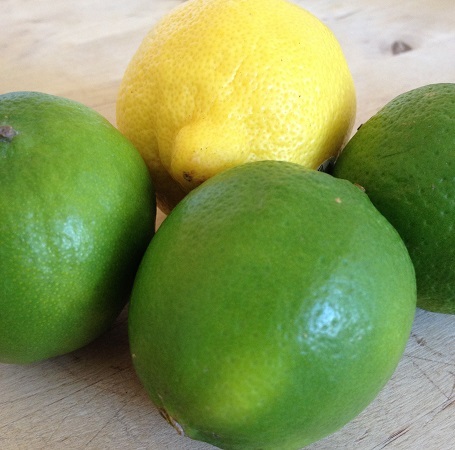 Squeeze the juice of one small lime over all and stir to combine. Cook five minutes more. Add garam masala, reduce heat to low and cook 3-4 minutes to distribute the spices. Drizzle each serving with one to two teaspoons yogurt of my Basic Creamy Cheese Dip (linked to earlier), and a twist of freshly ground pepper. Do let me know if you think you might try this dish, and if you have a favorite vegetarian holiday recipe, or just one you use everyday, I'd like to hear about it. Thank you, so much, Margaret. I appreciate your sharing this recipe. 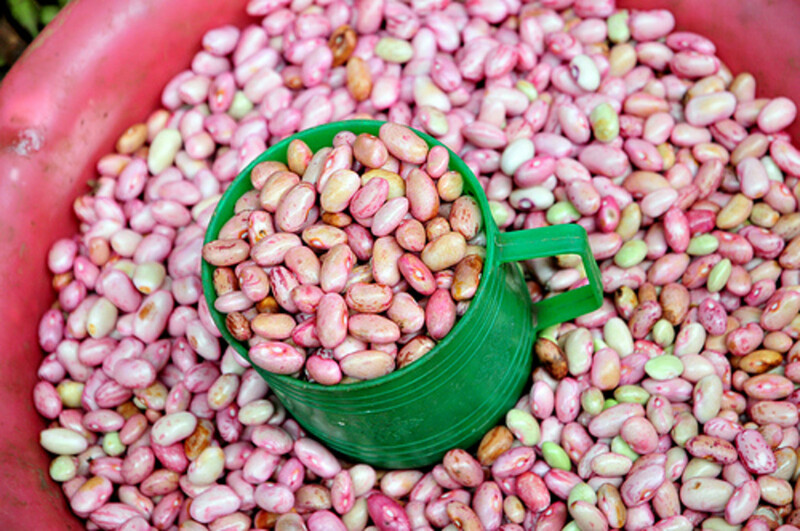 Yummy, nutritious, and perfect for the colder months! Pinning this to my Best Thanksgiving Recipes for Making Holiday Memories board. You're welcome, and thank you for featuring it on Review This! Once again, I am honored. 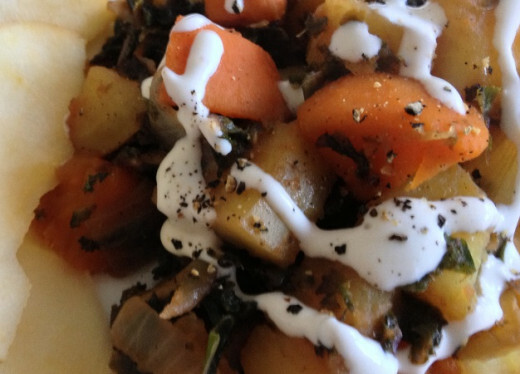 I do believe I enjoy just about any yam or potato recipe and this one sounds delicious! 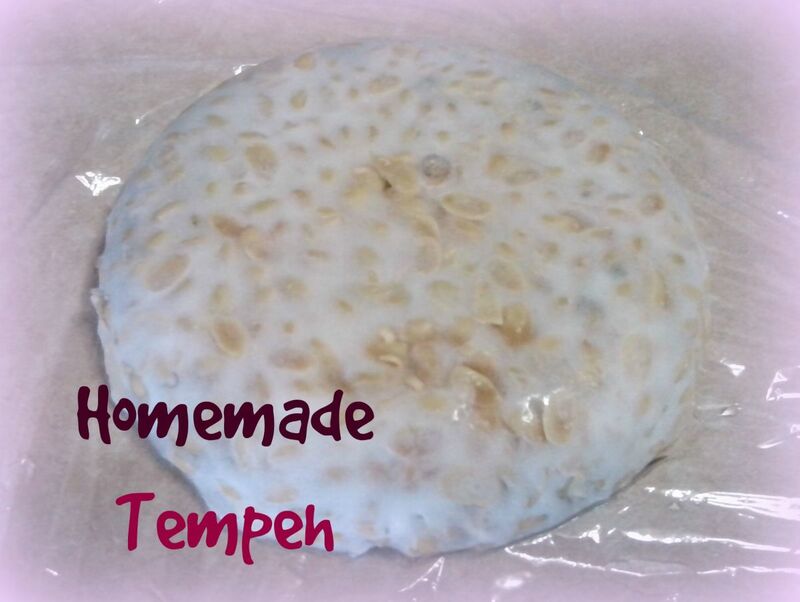 Thank you for submitting it for the Thanksgiving side dish recipes on Review This! @Ibidii: I grew up on reds myself, and occasionally ordinary white potatoes, but I never saw the varieties of potatoes we see in stores now, either, until about twenty years ago, when I first saw Yukon gold. I love all the small, tender varieties, don't you? This sounds great Grace! congratulations on Lens of the Day! I did not know that about Kale. I will tell my daughter the next time we use it. I have her put it in my soup. I love the red and yukon gold and rose potatoes over the russets. Dad always used the russets. I do not think the other potatoes were plenty in San Francisco when I was growing up. I did a fair amount of shopping for the family then and I don't even remember seeing them at the stores. This sounds so good--red potatoes for me, please and thank you! @Scindhia H: It is. So easy too. Thanks for stopping by. Wow! This looks great. I'll be trying it. Thank you! I love kale and yams. I'll have to try this one soon! Thanks. @sirteacup: You're welcome. I hope you enjoy this recipe as much as we do. Looks wonderful! I will definitely be trying this out as I'm already a huge fan of kale. Thanks for the lens, Grace! @Johanna Eisler: You're welcome. Like you, I knew about kale long before I discovered ways we love to eat it. Now there are so many, I have to keep it on hand all the time! Perhaps you, too, will find recipes that are so good your eyes light up whenever you see a healthy bunch of kale in the grocery store. I've only recently been aware of the versatility of kale. I've always known it was very good for you, but couldn't get excited about it. Thank you for helping me learn to love what I should! @astevn816 lm: Thank you. Glad you like it! 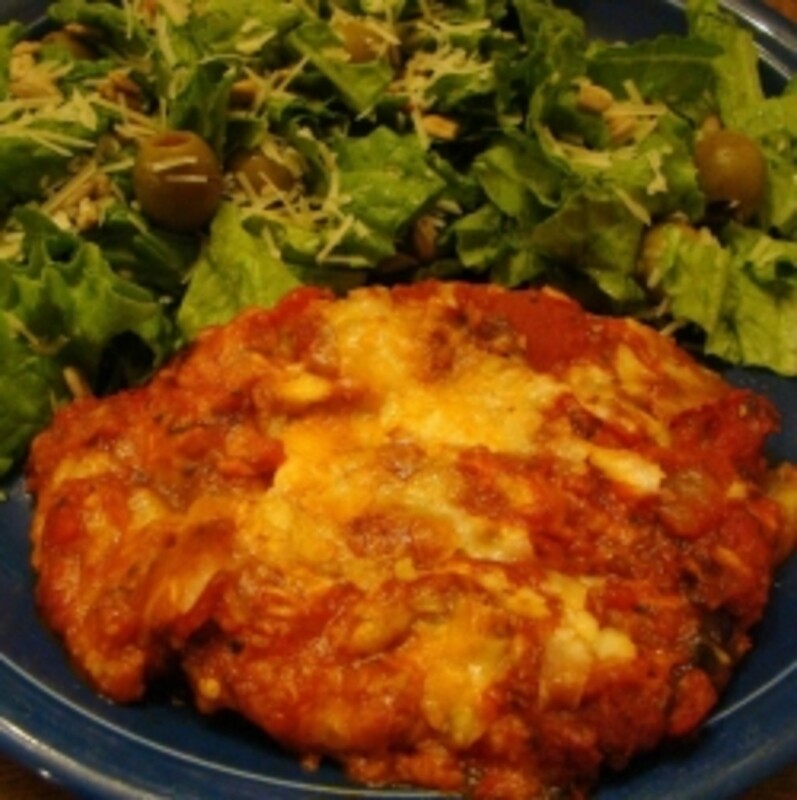 This looks delicious, a great vegetarian meal and low in fat content, this would make a great diet dish. @zaiyonarafoods: It's so easy. I'm sure you won't have any problems at all. It really is a very simple dish and yet so satisfying to the eye as well as to the palate. Not sure if I will like this but it sure does look good. @Terry Boroff: Thank you! Let me know how you like it, and especially anything you do to tweak it. Looks wonderful - I can't wait to try it! @paulahite: Wow! I am honored. Thank you so much. I checked it out. There are tons of good things to see and eat and learn over there, plenty especially for Easter, too. love it! It's on our G+ page today! Wow, does this look good. @Merrci: Thank you so much! It was a big surprise and a lot of fun, as I believe you know from experience. This looks wonderful. Congrats on winning the Monster contest! @Felicitas: I haven't bought kale chips, but I have made them. So far, I haven't made fabulously crispy chips, but we did enjoy them. I will keep experimenting with them. Yum. I'll try this one with vegan cheese instead of yogurt. I love kale. 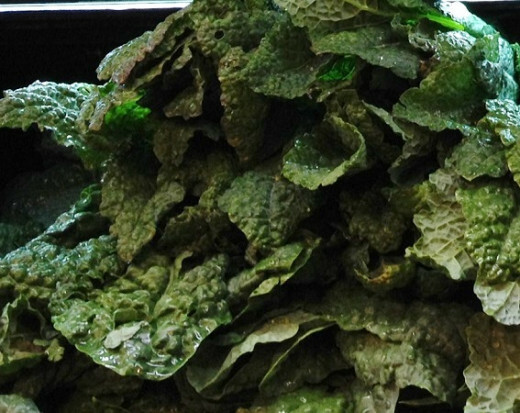 I often buy kale chips (dried kale) to snack on. It might not sound great if you've never tried it. But, it really is quite tasty. @esmonaco: You are so very kind! Thank you. @DebMartin: Thank you! If kale is brand new to you, I suggest starting with a small bunch and cutting it in quite small pieces, especially the stems. When I first started using kale, I loved it right from the start, but I found that it is sometimes tough and that cutting it very small helped it to cook tender more quickly. After you've worked with kale more, you will begin to know how to tell when it is freshest and most tender, and therefore does not need to be cut so fine, and when it is older and needs finer chopping. Feel free to contact me if you have any questions about cooking with kale. Okay. Not sure about the Kale but your recipe looks so luscious I'll give it a try. And Congratulations! Just stopping by to say congratulations on your win, Well done!!!!! @bobnolley lm: Thank you. It was an amazing day. @Susan Zutautas: Thank you. I use Pinterest the same way. So handy! 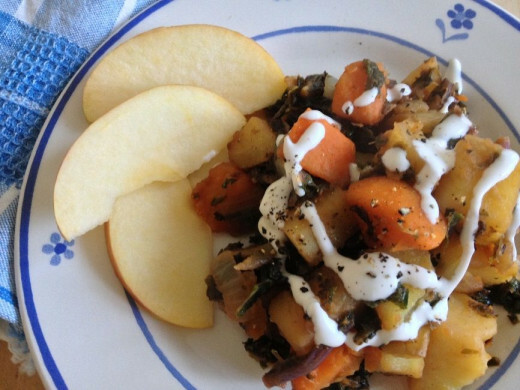 @MJ Martin: Thank you for sharing it with your yam-loving friends who cook. I hope they enjoy it as much as we do. @JoanieMRuppel54: Oh, how I envy you fresh garden kale. Yes, give it a go and let me know what you think. @dianibeachkenya: Sukuma wiki is a new one on me. I will have to look it up, but I am a great believer in experimenting with whole foods, so I say, go for it! I hope you will come back and tell us how it worked. I will definitely try this one! I wonder if I could replace the kale with sukuma wiki ? We have it locally grown all over the coast and it something like kale. This looks so delicious! I have fresh kale in my garden. Must try! What a perfect dish for LOTD, congratulations. I will pass this on to the cooks I know who love to try new yam dishes. Sounds yummy to me. Total Yum, congrats on your Lens of the Day! Congratulations on your post I'm sure this is very tasty. Interesting recipe. Congratulations on getting LotD! Delicious looking recipe! Congrats on LOTD! Will save this on Pinterest so I know where to find it. YUMMMEEEE! Congrats on your LOTD! @RawBill1: I've heard that cashews can be used to make a wonderful cheesy substitute. Thank you for the suggestions. I will make a note and give them a try. @Nancy Hardin: Thank you, Nancy. It's been quite a fun day. @sherwing: Tee hee. I'll fax it right over. Congratulations on achieving LOTD! That's wonderful and so is this recipe. Thanks for sharing! This is very nice and useful lens. I have received from here many information. Sounds pretty delicious to me, but I would modify it slightly to make it more vegan friendly, pretty easily done by getting rid of the butter and using a cashew cheese instead of the cheesy dip! @delia-delia: Thank you. Much appreciated! Congratulations on LOTD! Yummy....I love sweet potatoes/yams! This looks delicious! @Diana Wenzel: Thank you. Still pinching myself! @anonymous: I only discovered mustard greens about a year ago, and loved them in the dishes I tried them. Now I watch for them to become available in our local fresh organic grocery. Do let me know if you have any questions about this recipe. I'm always happy to talk food! @ayannavenus: Oh how I envy you growing kale. Perfect time of year for it too. Thank you for stopping by. @PriyabrataSingh: Thank you. I will. @Diaper Bag Blog: Hooray! Let me know how you like it and especially how you switch it up. Yum! Well done on LOTD. Today is your day. Many congratulation for the Lens Of The Day. You have selected some of the healthy Ingredients in your recipe to serve on plate. The recipe is still rolling on me desktop. It sounds absolutely delicious and yummy.....Cheers, and keep smiling. Yes, I just might try this one. I've only eaten kale once and it does have a very unique taste and texture. But this recipe looks colorful and delicious. I'm going to bookmark it and attempt to make it. By-the-way my favorite vegetarian "dish" is just plain old mustard greens. I can eat them everyday. Love the lens and thanks for sharing. @sybil watson: Thank you. I only wish I'd discovered kale years earlier. It is so versatile! @Magpie Feathers: Yay! I hope you like it at your house as much as we do at ours, and thank you for the hugs. @smine27: Thanks. You are ever kind and generous. @kangela1: Thank you. Do let me know how it turns out and whether you change it up somehow. I love to do variations on a them, don't you? Lovely lens and recipe!! Congrats! You did a great job, Grace. This is how to make a lens stand out! I am making this dish. Thank you for the great recipe. Congratulations on your win! This really is a fabulous lens - I love kale and this seems like a such a delicious way to have a healthy meal that's also delicious. @candy47: Love that--veggie bouquet. Thank you. It's been quite a morning. @tonyleather: We do enjoy it at our house. Thank you for stopping by.